Sa leabhar seo tá rogha dánta ón fhile cháiliúil ón nGearmáin. Breis le 60 dán móide leaganacha Gaeilge le Gabriel Rosenstock agus leaganacha Béarla le Hans-Christian Oeser. Roth Chaitríona i nua-litríocht na Gearmáinise é Michael Krüger agus mar aidhm aige a léiriú gur lá amú é lá gan dán a léamh. 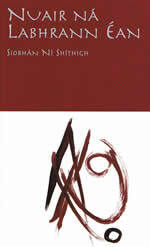 Saibhreas filíochta trí-theangach. Sár-saothar neamh-ghnáthach lán le dánta, prós, filíocht agus é maisithe le léaráidí beaga gleoite. Sruth an comhfheasa breactha síos aici i go h-ealaínte. Dánta ann faoin saol mór agus faoin timpeallacht fhairsing. Leabhair eile léi ná Briathar an Tráthnóna agus Na Leaca Bána. Whoosh! - agus tá sé imithe. 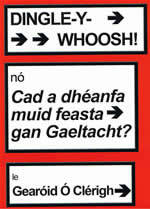 Cad a dhéanfa muid feasta gan aon Gaeltacht? Níl deireadh fós leis an gconspóid i dtaobh logainm, An Daingin - Daingean Uí Chúis(e) - nó Dingle agus ní cosúil go mbeidh go ceann tamaill. (níl aon dingle ann! roinnt crainnte, ach - no dingle..) Dúisíonn an scéal seo buncheist- eanna faoin saol in Éirinn agus faoi ionad na Gaeilge ann. An féidir an dúchas Gaelach a threisiú? Is cúng an saol atá ag an bhfear óg seo i gCo. Maigh Eo. Níl obair ar fáil, tá an Eaglais anuas air, agus tá ceannas a mháthar ag cur isteach air. Téann sé anonn go Londain le scata eile ón mbaile. Ach tá an obair an-trom, agus ní mhaireann an post aige i bhfad. Airíonn sé uaidh compord an bhaile. 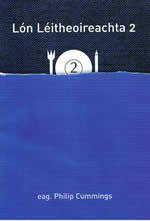 Cé a cheapadh go snaidhmfeadh an deoraí seo cáirdeas le luch..? Scéalta seo don aoisghrúpa 9-12 ina bhfuil réimse leathan d' ábhar. Baineann cuid acu le saol an lae inniu - An Laoch, mar shampla, scéal faoi chailín óg, lúthchleasaí a bhuaileann galar í ach go n-éiríonn léi a shárú. Scéal eachtrúil é Na Gadaithe Dána atá faoi scata dána a bhíonn ag goid agus ag bualadh daoine. Caithfear turas baolach a dhéanamh tríd an bhforaois chun cúnamh a fháil ón dTaoiseach. 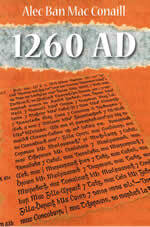 Cnuasach dánta ó 700 AD anuas go 2000. Is ór-chiste luachmhar é seo a léiríonn éagsúlacht is áilleacht na h-éigse a cumadh i nGaeilge le míle trí chéad bliain anuas. Tá na dánta roinnte ina sé chuid atá ceangailte le tréimhsí stairúla faoi leith. 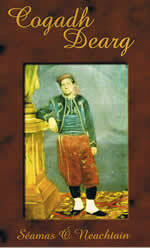 Níl anseo ar ndóigh, ach blas beag de na dánta go léir a cumadh sna tréimhsí éagsúla atá faoi chaibidil sa leabhar. 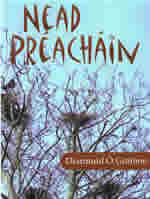 Cnuasach stairiúil. Cnuasach Tábhachtach. Tá an feitheamh thart! Tá sé i gcló anois... An cnuasach is déanai de dhánta uaidh, breis agus 38 dán sa leabhar seo! Den chuid is mó, is dánta iad a bhaineann lenár linn féin; ní fhéadfaí iad a shamhlú ná a ceapadh in aon aois roimhe seo. Tá greann - SMS - mar shampla - agus ioróin, chomh maith le mothúchán níos doimhne le fáil. Díolaim an-suimiúil ina bhfuil aistí ar léann is ar litríochta na Gaeilge ar fáil. 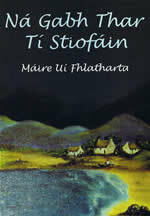 Ina measc tá aistí ar: 'An Craoibhinn Aoibhinn' le (Dúghlas de Híde), Pádraig Mac Phiarais, Seán-Phádraig Ó Conaire, Tomas Ó Criomhthain, Peig Sayers, 'Máire', (Séamus Ó Grianna), Seosamh Mac Grianna agus Máirtín Ó Cadhain. 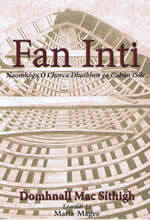 Seo leabhar eile atá an-speisialta ar fad. 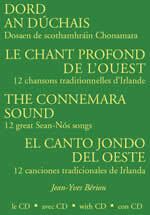 Aistí, Dea-scéalta, Úrscéalta, Béaloideas, Filíocht, Stair, Foclóir, Léachtanna, Altanna, Drámaí, Prós, Seanchas, Oidhreacht, Féilirí, Ficsin, Gearrscéalta, Sleachtaí, Duanairí, Amhráin, Aistriúcháin, Seanfhocail, iad ag léiriú líofacht liteartha. 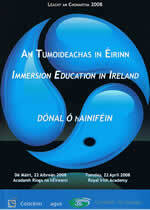 57 leabhair i nGaeilge a d'fhoilsigh Coiscéim sa bliain 2007. Saor in aisce ach an costas postas a íoc. Liosta ceoil Kíla ar chúl. 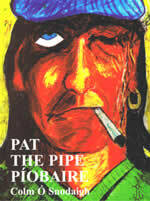 Fuair Pat the Pipe Píobaire bás inné. Dúirt sé riamh gur bheag píobairí a rinne slí bheatha as an gceol. 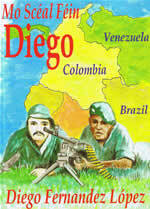 Bhí seisean mar duine acu. Is ríbí dialainne a scríobh sé atá anseo agus léiríonn siad an saol crua sráide a bhí i ndán dó sular ghabh an ailse é aois 43 . . An dara chló. Úrscéal staire den chineál is fearr é seo. 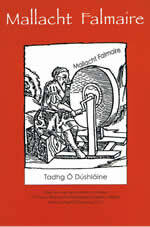 1607: ceann de na chéad rudaí a rinne Aodh Ó Domhnaill nuair a shroich sé an Lováin ná fios a chur ar an Sagart Aodh Mac Cathmhaoil, príomh-charactar an scéil seo. Is trína shúile a léirítear imeachtaí agus eachtraí ar an Mhór-Roinn agus cad é mar a bhí ag na hIarlaí, i bhFlóndras pé scéal é.
Ach cé ghoid Coróin na Maighdne Muire? Fíorscéal faoina óige, na fáthanna a ndeachaigh sé leis an ELN (Ejército de Liberación National), a pháirt sa chogadh cathartha atá ag scoilteadh Colóime le 40 bliain. Tugann a thaithí sa strachailt armtha agus i bpríosún léargas suimiúil dúinn ar staid na Colóime faoi láthair. Séamas Ó Muinneacháin, duine de 'Trúir na Colóime' a "d'easpórtáil" an lámhscríbhín ón bpríosún. Pádraig Ó Maolchraoibhe a d'aistrigh ón Spáinnis go Gaeilge. Ar an té a léann le fonn. Duanaire Gaeilge/Gàidhlig (Gaedhlige) Dánta agus leaganacha nua/Dàin is tionndaidhean úra. 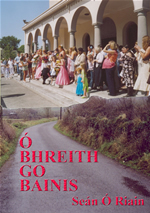 San iris seo, tá dánta agus leaganacha ó breis agus 60 file ón dá thaobh de Shruth na Maoille. Tá gluais le cois gach dáin a míníonn focail sa dá chainiúint. Seo scéal tarraingeach, scéal grá, an grá leannán, grá clainne, grá pobail. Daoine a bhfuil ghnáthrudaí an tsaoil ag cur as dóibh atá sa scéal seo agus tugann sé léargas úr dúinn ar shaol an lucht siúil. 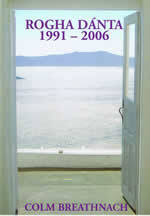 Scéal é nach gceileann an teannas idir iad agus an pobal suite ach an oiread. Osclóidh na h-eachtraí ann na súile daoibh. Leabhar é seo atá an-speisialta ar fad. Bain taitneamh as breis agus 85 dán, maraon le dornán aistí, ina ndéantar céiliúradh ar dhaoine, idir bheo & mharbh, agus ar imeachtaí poiblí. 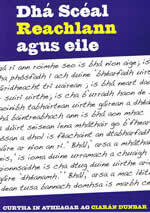 Ar chúl, tá aitheantas tugtha d'fhilí agus d'údair cháiliúla na Gaeilge a d'fhág a riain orainn uilig lena gcuid saothar aoibhinn. Is é an greann an tréith is suntasaí sa scéal seo faoi fhirín beag ag fás suas san Ard-chathair. Bí ag léamh faoi eachtraí shaol na cathrach agus na leanaí a fuarthas sa chúl-gháirdín i measc na gcabáistí. Tugann an t-úrscéal eachtrúil, corrach seo léiriú ar an gcrá croí atá ag ciapadh duine amháin agus na ndaoine timpeall air freisin. Nochtar an leithleachas agus an fhimíneacht sa pholataíocht a choinnigh cúl ar shaol na hÉireann. Scéal é seo a choinneoidh aire léitheora ar bith. Úrscéal stairiúil bunaithe ar shaol an Phrionsa Eoghan Mac Néill Rua Ó Néill, a mharaigh na Gaill a dheartháir, Brian, Rí ar Chineál Eoghain. Nuair a thosaigh an bhliain chinniúnach sin, 1260AD, bhí an phrionsa ina mhanach simplí. 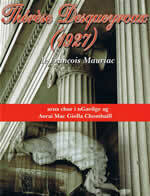 Turas agus eachtraí ón Sorbonne go dtí Tulaigh Óg. 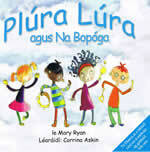 Bagairt cogaíochta le Prionsa Eduard na Sacsanach ag Brú na Bóinne agus neart eachtraí eile. Sár-úrscéal é seo. Cnuasach filíochta den chéad scoth - níos mó ná daichead dán a chothóidh suaimhneas ionat. Is iad na mórthéamaí i bhfilíocht Uí Fhaoláin ná an dúlra agus an oidhreacht; an ceangal - nó an bhearna - idir iad agus an cine daona sa lá inniu. Ina measc, tá an dán a bhain Céad Duais Filíochta Bhéal Átha na mBuillí 2008 agus dánta a bhuaigh duiseanna i gComórtas Idirnáisiúnta Filíochta Dhún Laoghaire-Rath an Dúin 2003 agus 2008. Foclóir Analógach atá anseo. Is minic tuairim i do cheann gan breith uirthi i gceart. Go h-iondúil, bíonn an tuairim san éadaithe le focail nach bhfuil sásúil nó ceart. 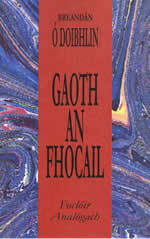 Níl 'Gaoth an Fhocail' agat mar a deirtear sa Ghaeilge. 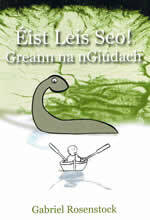 Is chun riar ar a leithéid de dheacracht, chun cuidiú le lucht scríofa na Gaeilge, a cuireadh an leabhar seo le chéile. An-áisiúil má tá tú gafa le crosfhocail chomh maith. Úrscéal póilíneachta. Gach oíche i rith mhí na Samhna, duaisítear Bríd Kelly. An taibhse ó thréimhse uafásach a muintire atá ann? 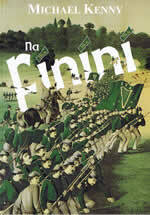 Tagann Cigire na mBleachtairí, Seán Ruiséal, agus a fhoireann chun an choir a fhiosrú. Ní h-é seo an chéad uair dó in intinn mná. Cén míniú atá leis? Cad é atá taobh thiar de? 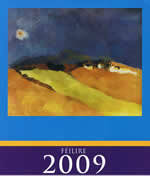 Seo agaibh Féilre 2009 atá maisithe le saothar filí éagsúla agus le h-ealaín Ruth Cussen. 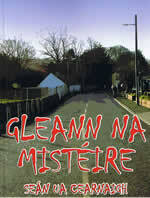 Ceann de na bronntanais is gleoite gur féidir a cheannacht do dhuine. Tugann an t-úrscéal seo léargas ar an dóigh arbh éigin do Chonallaigh sclábhaíocht a dhéanamh ar fud Chúige Uladh agus na hAlban le beatha a bhaint amach, an dóigh a scaradh teaghlaigh agus ar thit an tír faoi thionchar an óil. Scéal é freisin faoin ngaol idir athair agus mac agus iad ag filleadh abhaile: an caidreamh agus an míthuiscint eatarthu agus na rúin nach scaoilfidh dada iad ach an bás sa deireadh. Gearrscéalta le Pádraig Ó Gallchóir, Colm Ó Snodaigh, Michelle Nic Pháidín, Eoghan Ó Néill, Tomaí Ó Conghaile, Feargal Mac Ionnrachtaigh, Seán Ó Curraoin, Stiofán Ó Direáin, Antain Mac Lochlainn, Pádraig Ó Baoighill, Mícheál Ó Ruairc, Pádraig Ó Snodaigh. Saothar eiseach é seo i litríocht na Gaeilge.Bainfidh sibh an-taitneamh as na scéalta seo. Foilsíodh iad an chéad uair sa nuachtán laethúil Gaeilge - Lá / Lá Nua. Na Deich nAitheanta agus Shmuck. Ní féidir léimt thar do scáil féin. 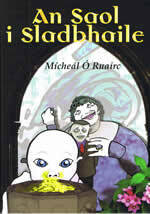 Leabhar ildaite gleoite atá lán le stair shaoil Sheáin Uí Tuama. Neart sean ghrian- ghrafanna agus léaráidí á maisiú. Cúrsaí liteartha agus eile a bhaineann le saol agus saothar an Tuamaigh nár fhoilsíodh cheana: aistí próis, grianghraifeanna, l éachtaí, srl. 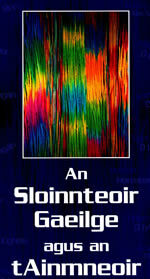 Is fiú go mór an leabhar seo i do sheilbh nó ar do sheilf. Taisce rúnda Sheáin Uí Tuama. Cnuasach eile d'fhilíocht ghalánta ó Colette. Tá breis agus 45 dán anseo atá go bunúsach thar barr! Ina measc, tá dánta faoi Grá, Faitíos, Uaigneas, Aois, Pósadh agus Rudaí a thaitníonn liom. Bain sult as véarsaíocht beo, bríomhar. Seo agaibh an ceathrú cnuasach filíochta, saothar smaointeach a chruthaíonn íomhánna ildaite Chorca Dhuibhne sa cheann; cuimhní stairiúla mar omós do Michael Davitt ina measc. 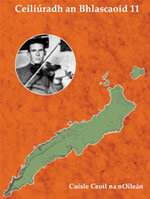 51 Dán faoi na ceannteidil - Préamhacha - Portús - Grá - Caointe - Sraith Davitt agus Clabhsúr. 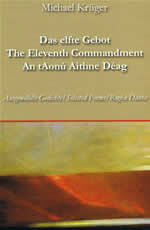 Cnuasach de 43 amhrán do pháistí agus iad uilig ar diosca ceoil atá ag dul leis an leabhar. 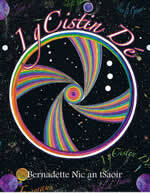 Ina measc tá; Báidín Fheilimí, Déirín Dé, A Nóra Bheag, Andaí Falsa, Trup Trup a Chaipillín, 'Sí do Mhamó í, Peigín Leitir Móir, Hé Didil Didil, Oró mo Bháidín & a lán amhráin eile sa bhreis. Maisithe le léaráidí galánta de chuid Corina Askin. 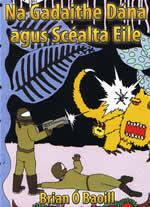 Seo leabhar don aos óg agus don rang scoile. Seo é an chéad chnuasach filíochta ó chroí Ailbhe - saothar álainn gleoite a ardaíonn an spiorad. Breis agus 40 dán ann, atá éadrom agus cliste. 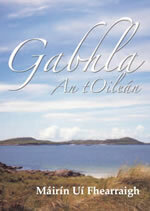 Filíocht den scoth ina bhfuil taitneamh an tsaoil aici le brathsna focail agus i rithim na rann fileata. Dánta iad a dtiocfá ar ais chucu aríst. 1862. Thug an Gorta Mór Seán Ó Ceallaigh go Meiriceá. Anois is saighdiúir in arm an Aontais é. Tá an Cogadh Cathartha faoi lán seoil. 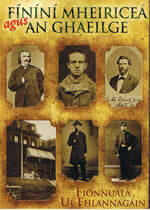 Troideann sé féin, a chara Willy Keane agus comrádaithe i gcathanna fuilteacha i gcoinne na rebs, Gettysburg san áireamh. Tugann Seán cuntas beo ar eachtraí na cogaíochta. "Mallacht Dé ar an reibiliún seo!" 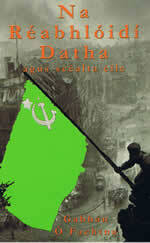 Ach ní dhéantar dearmad ar chúrsaí corracha na hÉireann nó ar fheachtas na bhFíníní go Éirí Amach Cásca 1916. Tá an t-úrscéal seo leis an scríobhneoir Mheicsiceach Juan Rolfo ar cheann de na h-úrscéalta is fearr de chuid litríocht na Spáinnise. Cnuasach de 40 dán gleoite a dhéanann céiliúradh ar Chorcaigh agus gach a bhaineann léi. Dánta ar nós Ar an mBaile Dubh agus Fuinneog ar an Ard Uachtar. Tá scoith na samhlaíochta ag baint leo agus an-saibhreas na teanga ag an údar. 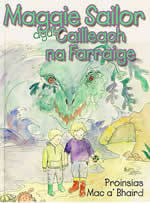 Tá Máirín ag tosú ar an ollscoil ach faigheann sí amach go bhfuil a buachaill marbh. Fuair Gardaí an chorp i nGleann Cuilinn; chuir sé lámh ina bhás féin. Ach ar chuir? Téann sí go Gleann Cuillin ar thóir na fírinne, ach is aisteach an fhírinne é.
Tiarna Talún crua ba ea Donnchadh Ó Ceallaigh le h-estáit aige in aice le Béal Átha Ghártha, Oirthear na Gaillimhe, sa 19ú h-aois. 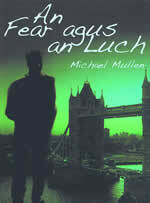 Ach seo an fear céanna ar a thug Eoghan Ó Comhraí 'fear freastail lucht léinn' nó chaith sé dua is airgead ag bailiú, ag ceannach agus ag scríobh lámhscríbhinní Gaelacha. mar bhall den Chumann Seandálaíochta c.1845. Stair a shaol léinn móide na litreacha idir é is mórscoiláirí na linne nuair a bhí sé ina bhall d'Acadamh Ríoga na hÉireann. 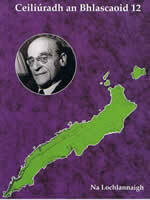 Bráithreachas Phoblacht na hÉireann (IRB). Na Fíníní i Sasana. Wolfe Tone agus na hÉireannaigh Aontaithe. An Bráithreachas Fíníneach i Meiriceá. Fíníní Cheanada. Is féidir bunús na bhFíníní a rianú ó na 1790idí agus na 1840idí. 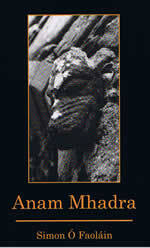 Tá scéalta na laochra agus na n-imeachtaí réabhlóideacha lena raibh siad bainteach á léiriú sa leabhar staire seo, ag údar a chaith blianta i bhfeighil na gcnuasach staire a bhain leo in Ard-Mhúsaem na hÉireann. 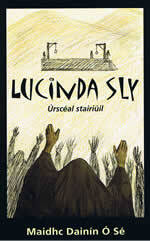 Úrscéal stairiúil faoi Luncinda Sly, an bhean deiridh a crochadh i gCeatharlach in éindí le John Dempsey, an beirt acu ciontaithe i ndúnmharú fhear céile Lucinda in 1834. Rugadh í c.1773 agus ba bhaintreach í ó aois 29. Phós sí Walter Sly nuair a bhí sí 52 bliain d'aois agus thug sé íde ghránna di gach lá dár gcionn. 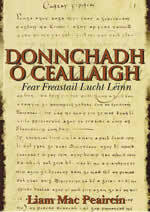 Cuireadh deireadh leis agus leo dá bharr. Is é seo scéal na gcaidreamh eadarthu triúir. Seanchas agus scéal Thomáis Ó Munghaile a saolaíodh i mBarr Thrámh, Co. Mhaigh Eo, sa bhliain 1918. 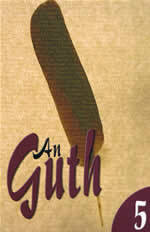 Cuirtear síos ar an saol agus ar an bpobal i mBarr Thrámh agus an slí beatha a bhí acu roimh bhogadh go Bhaile Ghib i 1937. Tá cuntas ann freisin ar an difríocht idir an talamh feirmeorachta i Maigh Eo agus i gContae na Mí agus mar a chuaigh an difríocht sin i bhfeidhm. 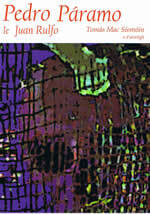 Seo cnuasach le breis agus 100 dán agus corr Haiku ina measc in aon leabhar amháin. 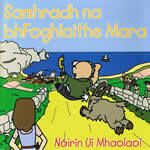 100+ den fhilíocht is treise, is cliste, is grámhaire agus is greanmhara dár scríobh Colm Breathnach go dtí seo. Seo dhá scéal - Mac na Baintreabhaí agus Níon an Rí agus An Sionnach agus Cailleach na gCearc - i dtrí leagan Gaeilge. Gaeilge Reachlann, Gaeilge na hAlban agus Gaeilge (oifigiúil) na hÉireann. Tá aguisín ann ar chúl a dhéanann cur síos ar Gaelg Reachlann, foclóirín agus roinnt frásaí a d'úsáidís maraon le samplaí eile. 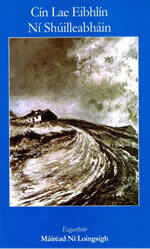 Seo an chéad leabhar sa tsraith 'Eachtraí Maggie Sailor'. 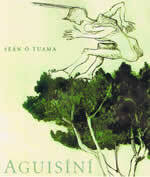 Leabhar atá taitneamhach agus an-éasca le léamh. 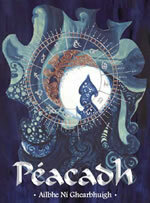 Deir na seandaoine gan dul san uaimh cois farraige mar is ansin atá Cailleach na Farraige. Níl faitíos ar Maggie óg roimh aon ní. afus seo léi ar eachtra mhór. Scéal draíochta do leanaí aois 9+. Scéal stairiúil faoi na Fíníní a lonnaigh thall i Meiriceá. Ní dhearn siad dearúd ar an nGaeilge mar atá léirithe sa leabhar seo. 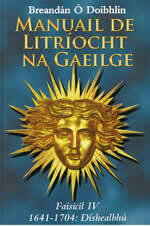 Sleachta Gaeilge anseo ón Pheonix, Irish People, Irish American, Citizen, Irish Nation, Gaelic American, Irish World, Emerald, Celtic Monthly, Celtic Magazine, United Irishman, ag tarraingt ar stair na bhFíníní ón tús. Breis agus 200 bliain ó shin i leith. Scéal draíochtach, misniúil le sástacht saobha. 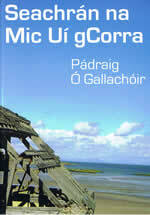 Gortaítear 'An Grá Mór' eatarthu agus titeann an chailín, Rachel, go tón poill le h-uaigneas agus le buairt. Tá leath di sínte san ospidéal agus an leath eile ag fáil bháis. Ach, tagann sean-chara chuig Rachel a chuidaíonn léi. Scéal mór an ghrá. Scéal stairiúil ón mBlascaod Mór. 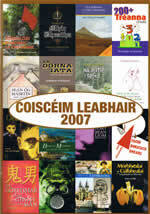 Léachtaí agus cainteanna a tionóladh in Ionad an Bhlascaoid Mhóir, Dún Chaoin, 12-14 Samhain 2007 faoin téama 'Na Lochlannaigh' . Leagtar béim speisialta ar shaol agus ar shaothar an scoláire Carl Marstrander ón tSualainn a thug cuairt ar an mBlascaod Mór sa bhliain 1907. 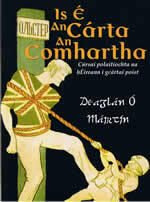 Bronnadh an chéad duais ar an leabhar seo i gcomórtas na gCnuasach Gearrscéalta de chuid Comórtas Liteartha an Oireachtais 2008 agus í tuillte go maith aige, gan amhras. 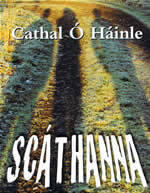 Tá na scéalta scríofa i stíl a mhusclaíonn samhlaíocht an léitheora, a choinníonn na súile le leathanach go deireadh. Ar aghaidh ansin go Sintéis agus na scéalta eile. The Dundalk Democrat and People's Journal. Oidhreacht na Gaeilge in Oirdheisceart Cúige Uladh. 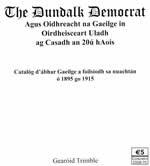 Seo catalóg d'ábhar Gaeilge a foilsíodh sa nuachtán sin idir 1895 agus 1915. Tá na buncóipeanna ar fáil in Iarsmalann Chontae Lugh i nDún Dealgan. Clic ar an íomha ar clé le breis eolas a fháil faoin leabhrán eolasach stairiúil seo. Scéal eachtraíochta do leanaí aois 9-12. 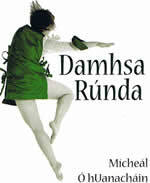 Nuair a thagann an Samhradh, bailíonn na fir go léir ó Mhachaire na gCaoróg Mara leo ag iascach. Fágann sin triúir de stócaigh óga agus beag le déanamh acu go dtí gu ndeisíonn siad sean bhád ar an trá. 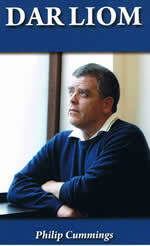 Go luath ar maidin éalaíonn siad amach sa bhád ach gabhann An Crúca agus na foghlaithe mara iad. Tagann páistí eile an bhaile i gcabhair orthu faoi threoir Dháiríne agus an phoic ar buile. Ach, ní sin deireadh an scéal . . . . níl ann ach tús na n-eachtraí. Seo agaimh cnuasach de 22 dán a scríobh na cimí sa gcampa míchlúiteach san i gCúba. 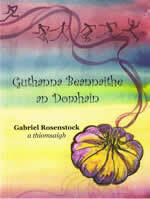 Tá siad curtha i nGaeilge ag Gabriel Rosenstock dúinn. Is iad na filí: Shaker Abdurraheen Aamer, Abdulaziz, Abdullah Thani Faris al Anazi, Ustad Badruzzaman Badr, Moazzam Begg, Jumah al Dossari, Shaik Abdurraheem Muslim Dost, Mohammed el Gharani, Sami al Haj, Martin Mubanga, Emad Abdullah Hassan, Osama Abu Kabir, Adnan Farhan Abdul Latif, Othman Abdulraheem Mohammad, Abdulla Majid al Noaimi, Ibrahim al Rubish, Siddiq Turkestani. 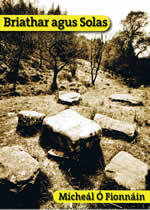 Foilsithe le cead ó University of Iowa Press. Tá aon bhrabús as díol an leabhair seo ag dul chuig Amnesty International. 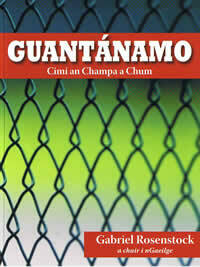 Guífear go ndúnfar príosún Guantanamo go deo agus an talún uilig a thabhairt ar ais do Cúba. Insan leabhar seo tá stair na nGaeltachtaí i dTír Chonaill. 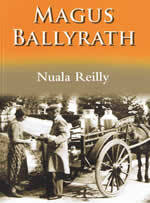 Seo an dara leagan den leabhar stairiúil ina bhfuil an t-eolas is cuimsithí ar ghaeltachtaí Thír Chonaill ar fáil. Tá cur síos ann ó Ghaeltacht go Gaeltacht, camchuairt ó dheisceart na contae go dtí tuaisceart na contae. Tá neart grianghraif ann fosta a thaispeánann dúinn áileacht agus oidhreacht chultúrtha na dúichí Gaelacha i dTír Chonaill. 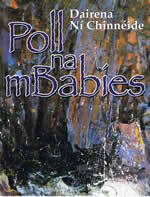 Tá sé ráite sa seanchas gurb as Poll na mBabies i gCuas a' Bhodaigh i gCorca Dhuibhne a tháinig leanaí ar an saol. 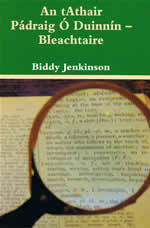 Tháinig ionsparáid don leabhar seo ón dúiche chéanna. 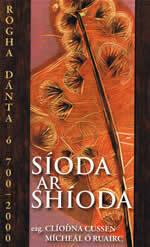 Seo leabhar filíochta le breis agus 60 dánta aoibhinn ar théamaí difriúla an tsaoil i gcian is i gcóngar. "Do éinne atá in ísle brí, tóg na piollaí ..."
Tugann an t-údar le fios go raibh seisean greanmhar sa Ghaeilge sular fhoghlam Des Bishop an teanga, agus tá teist air sin idir clúdaigh an leabhair seo. 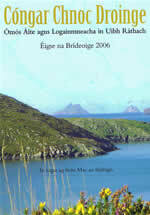 Foilsíodh bunleaganacha na gcolún seo sa nuachtán laethúil Gaeilge Lá/Lá Nua 2004-2007. Má mhothaíonn tú fonn gáire ag teacht ort á léamh seo, bíodh do gháire i nGaeilge agat! 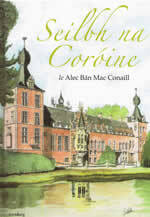 Tá diosca ag dul leis an leabhar seo ar a bhfuil dosaen d'amhráin sean-nós Chonamara. Tá cur síos ar na h-amhráin i gceithre theanga agus aistriúcháin ar na h-amhráin chomh maith. Is fiú go mór an léargas seo ar oidhreacht amhránaíochta ár sinsear, oidhreacht atá fós linn agus a bhfuil mór-éileamh uirthi fud na cruinne. 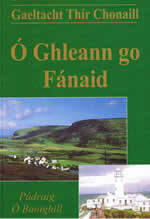 Ceann de na leabhair is taitneamhaí ón mBlascaod. Dialann Eibhlín Uí Shúilleabháin agus í 23 bliain d’aois ina cónaí ar an mBlascaod. 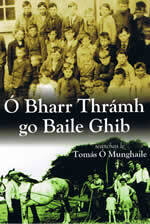 Is ó thús Bealtaine go deireadh mhí na Samhna sa bhliain 1923. Chuile lá ina scéilín beag féin, a eachtra bheag féin. Súil laethúil isteach ar an saol mar a bhí sé ar Oileáin na mBlascaod i dtús na 1920dí. Íomhá ar leith ar ché chomh feanntach is a bhí an saol acu. An 3ú cló. 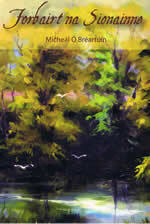 Tá stair na Sionainne sa leabhar seo. Ón tús sna gcloch go h-árd i gCo. Cabháin. 344km go farraige. A tábhacht i stair na Tíre. An leictreachas in Ard na Croise i 1925 agus inealltóirí na linne. Cuireann an t-údar áilleacht agus spiorad na Sionainne os ár gcomhair agus déanann sé cur síos cruinn ar na nithe eolach a mbaineann léi agus saothar na giniúna agus turasóireachta. 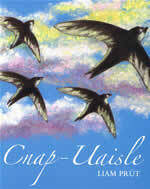 Tosaíonn beatha an chrann mar shíol. 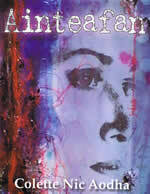 Fásann na crainnte teann, ard agus leathan. D'úsáid an t-údar ceithre shaghas crann chun an naomhóg a thógáil. 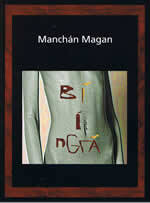 Sa leabhar seo, tá cur síos air cheird tógála na Naomhóg Mara ó thús go críoch agus ar an aistear eachtrúil a bhain leis. Stair na gcártaí phoist ó 1869 ar aghaidh. Cuir síos ar an mbealach a n-úsáidtear cártaí phoist mar urlais bholscaireachta. Léiriú ar imeachtaí stairiúla na hÉireann ar nós 'Ruathar an tSáirséalaigh' ar airm Rí Liam, chomh maith le cártaí phoist ó 1916, 1923 agus 1969 nuair a thosaigh na Trioblóidí i n-oirthuaisceart na hÉireann. Tá 31 cárta poist léirithe anseo agus scéal ann faoi gach ceann acu.